Saskatoon Downtown Youth Centre Inc., EGADZ, willing to help any victim that comes forward. Please contact EGADZ Outreach 306.221.3719. The owner-manager of the Northwoods Inn & Suites in Saskatoon has been released on bail after being charged with three counts of sexual assault and two counts of uttering threats. John Pontes, 74, appeared in provincial court again on Wednesday after an initial appearance on the charges Tuesday. The assaults are alleged to have taken place in Saskatoon between Jan. 5 and June 4 of this year. Police say an investigation they launched in February found that Pontes was extorting tenants for sexual favours. On Wednesday, the Crown and Pontes' defence, represented by Chris Lavier, decided on a conditional release on a $2,000 bail. Pontes agreed to have no contact with any female resident or guest at the Northwood Inn, unless in the presence of hotel management who are aware of these charges. "The community can be confident that there will be no people put at risk while he's on release," Lavier said. "He adamantly denies these allegations. "These allegations have been made in the past and he's offended by the allegations, he's always responded to those allegations and to date he has no criminal record." Lavier said cameras have been installed at the Inn, and security staff members are present at the building on a regular basis. He said Pontes is not there every day. In the past, Lavier said Pontes has faced threats when evicting people which has prompted complaints. 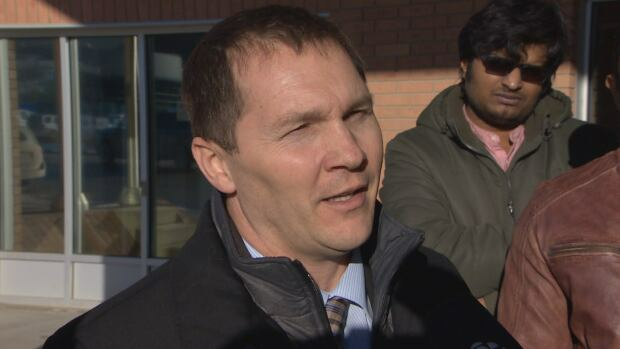 "Certainly there are some concerns about the individuals who have made the allegations and their potential motivations for making those," he said. He would not offer specific examples. Pontes will be back in court Dec. 13.